I know it’s been a long time since I blogged, but this is not without good reason. A mixture of many hours and upper-division classes made last semester one of the most challenging yet for me, and while blogging remained on the list of priorities, I rarely got that far down the list. But that is past, and the summer is now upon us! There is much to blog about, as I have hardly been idle. After finals were done with, I went on a jaunt across middle and east Tennessee with some friends, and had a grand time backpacking, looking at waterfalls, climbing mountains, and not getting campfires lit due to damp wood. 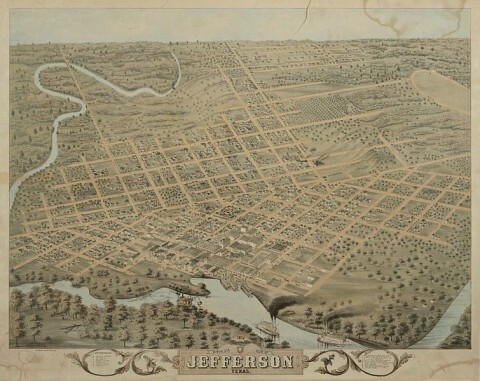 Plus, I have recently arrived in my new “home” of Jefferson, Texas. When my father announced he was looking for a full-time preaching job, I was afraid he might leave our beloved state, but he has ended up in this county seat of Marion County, Texas, and I must admit I rather like it here. East Texas has always been one of my favourite regions, and Jefferson is a historic and beautiful town, although a bit touristy. As for the natural side of things, it is situated between Caddo Lake and Lake o’ the Pines, so there will be plenty of places to canoe, and perhaps I can do some hiking as well. The trees here are tall and pines are abundant, and the people are very kind. I certainly miss Parker County, but I cannot complain about Marion County in the least. So I am resuming my blogging—this will likely involve a lot of photography, since even though I stopped blogging, I did not stop taking pictures, and there are a lot of pictures I need to put up, especially from Europe. This summer will be busy, but busy in a good way, I think—hopefully not overwhelming like last semester. So I hope you will keep reading the blog, or if you are new to this corner of the web, come back often or subscribe to the RSS feed!